This is the followup/companion to I BECOME SHADOW (finally!). Ren's going to need a little help to take down FATE. That's where Hutch comes in. 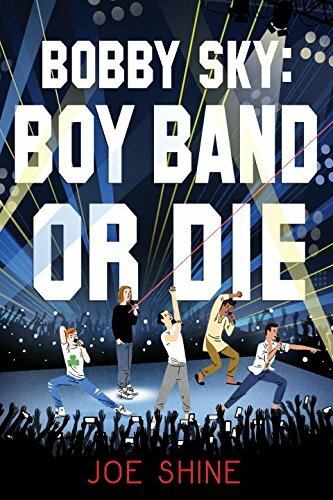 BOBBY SKY: BOY BAND OR DIE is his story. When Ren Sharpe was fourteen, she was kidnapped by a shadowy organization called FATE and trained to be a human weapon. Now, four years later, she receives her assignment: protect Gareth Young at all costs. Currently a student at Texas A&M, Gareth will someday change the world. FATE calls people like Gareth “FIPs”—future important people—and they’re everywhere, each with a FATE-trained shadow. But when disaster strikes, Ren will have to turn on her maker. Together with Junie, a fellow abductee and the one person she trusts, Ren takes Gareth on the run. Because whatever else happens, failure is not an option.